Apple just launched it's own streaming service that's tipped to 'kill Netflix'. Apple just announced its own streaming service that's set to rival Netflix. Apple has a big announcement, and somewhere – the executives of Netflix and Stan are crying into their breakfast. The world’s largest information technology company is turning its expertise to TV and movie streaming. 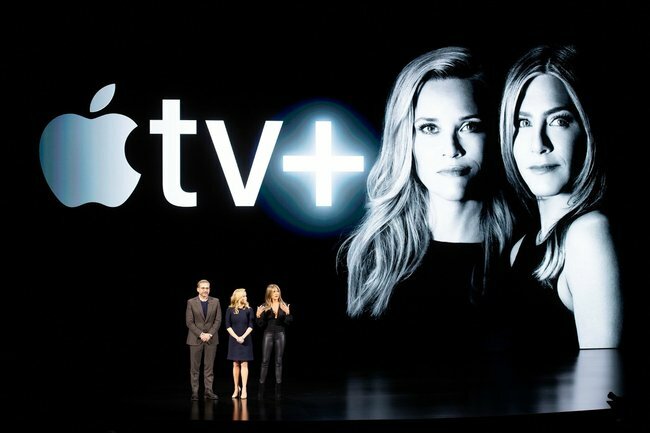 They launched Apple TV Plus – the newest addition to their enterprise at a flashy event in California, and they certainly had the creme de la creme of celebrities there to show off their new venture alongside. Here’s CEO Tim Cook making the announcement. Post continues after video. Oprah Winfrey spoke, Lana Del Ray sang – and Jennifer Aniston, Reece Witherspoon, Steve Carell and Steven Spielberg all helped spruik the new Apple service they’ll be a part of. Apple is expected to spend two billion a year on original content. Its service will be ad-free, available on demand, and view-able off and online. It’ll be a monthly fee like Netflix, but a price wasn’t disclosed. 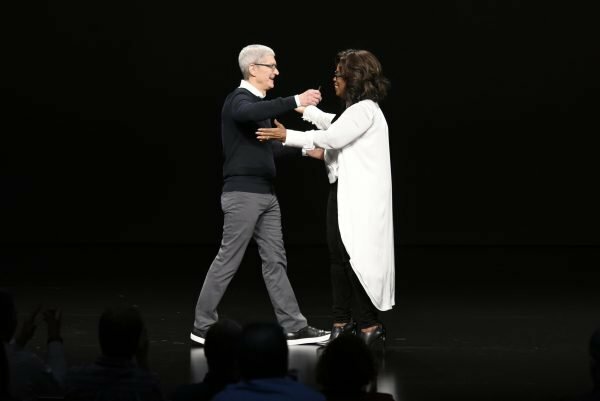 Oprah embracing CEO Tim Cook. She&apos;s launching two documentaries on the service and a new book club. Image: Getty. It&apos;ll launch in over 100 countries this year, and will have the potential to reach 1.4 billion active iOS devices the company already has in circulation. Apple&apos;s new venture will hopefully give them a much needed boost - they&apos;ve recently seen declining sales in the iPhone thanks to competitors getting the upper hand. There were some other new announcements at the event, including a new payment system, a games arcade subscription service and more magazines that have been added to their news app. Throughout their presentation, Apple executives stressed privacy protections for consumers as they shop and consume content across a range of Apple phones, iPads or other hardware. They also emphasised content that would appeal to young audiences, potentially setting the stage for a rivalry with Walt Disney. In August, Apple became the world&apos;s first trillion-dollar company and has been dropping cryptic hints about this streaming service launch for weeks. Apple says they&apos;re launching in &apos;fall&apos;, which for us Aussies means anytime from late September.